Edited by Margarita Pesheva, Martin Dimitrov and Teodora Stefkova Stoycheva . During the last decades, cancer diseases have increased all over the world. The low quality of food and strong pollution of environment are the main prerequisites for carcinogenesis. The main problem for scientists is to find strategy for prevention of cancer diseases. Therefore, the information about models for studying carcinogenesis and mutagens which appear during cooking, environmental pollutants, and tests for specific detection of carcinogens is particularly important. The book “Carcinogen” contains a collection of reviews and original papers which illustrate: Models of Carcinogenesis - a review focused on the role of stem cells as target to carcinogenesis Tests for Detection of Carcinogens - one of the reviews describes different methods for analyzing nucleic acid adducts, while the other describes the Ty1 retrotransposition short-term test, which can be used to study carcinogenicity of chemicals, including such applied in agriculture, nutrition and pharmacy. The test is highly sensitive, selective to carcinogenic substances, and can be used to control environmental pollution. Food and Carcinogens - one of the reviews gives general information about mycotoxins. Some of them have biological effect on human health, the others, however, are carcinogenic according to their mechanism of action. The quality of food depends on the heat treatment during cooking process, which may cause the formation of mutagenic and carcinogenic compounds. Food industry has to monitor and control food technology to ultimately reduce food born carcinogens. Environmental Carcinogenesis - four reviews are closely focused on environmental pollution with carcinogens and their effect on human health - the risk of leukemia arising from formaldehyde exposure, the effects of bisphenol A (BPA) exposure to cancer risk, the consumption of high amount of water containing humic acid, and genome instability caused by ionizing radiation. 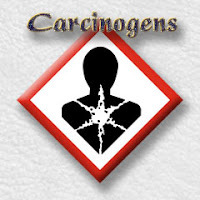 The book “Carcinogen” is intended for biologists, researchers, students in medical sciences and professionals interested in associated areas.